Microsoft Corporation (NASDAQ:MSFT) is the latest American company to come under the cross-hairs of China’s anti-monopoly regulators, as reported this morning by the Wall Street Journal. The American computer software giant is one of at least 30 companies that has been investigated in China over that country’s six-year-old antitrust laws, which critics say are being used to unfairly target foreign businesses. Microsoft Corporation (NASDAQ:MSFT) vice-president David Chen was questioned on Monday by The State Administration for Industry and Commerce regarding Microsoft Corporation (NASDAQ:MSFT)’s practices in the country, and given 20 days to respond. In particular, the presence of authentication codes in their software, used as an anti-piracy measure, seems to be a major sticking point with the Chinese regulators. China’s official Xinhua news service on Monday claimed that their inclusion “may have violated China’s anti-monopoly law”. The anti-piracy measures are particularly necessary in China (and much of Asia), where a study by BSA placed the rate of software piracy at a staggering 77% in 2011, compared to 19% in the U.S and 42% globally. That same year, then-Microsoft Corporation (NASDAQ:MSFT) CEO Steve Ballmer revealed that because of that rampant piracy, his company generated less revenue in China, a country of over 1.3 billion people, than it did in the Netherlands, with under 17 million citizens. 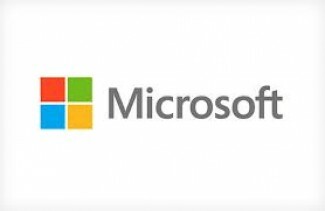 Microsoft Corporation (NASDAQ:MSFT) is also being asked to address problems related to the incompatibility of their Windows and Office software, due to a lack of such compatibility information released by the company. Microsoft Corporation (NASDAQ:MSFT) announced in a statement that they plan to fully comply with both the investigation, and China’s laws. Current Microsoft Corporation (NASDAQ:MSFT) CEO Satya Nadella is scheduled to make his first trip to China as the company’s CEO later this month. It is not known whether he will discuss the pending situation with Chinese officials at that time.